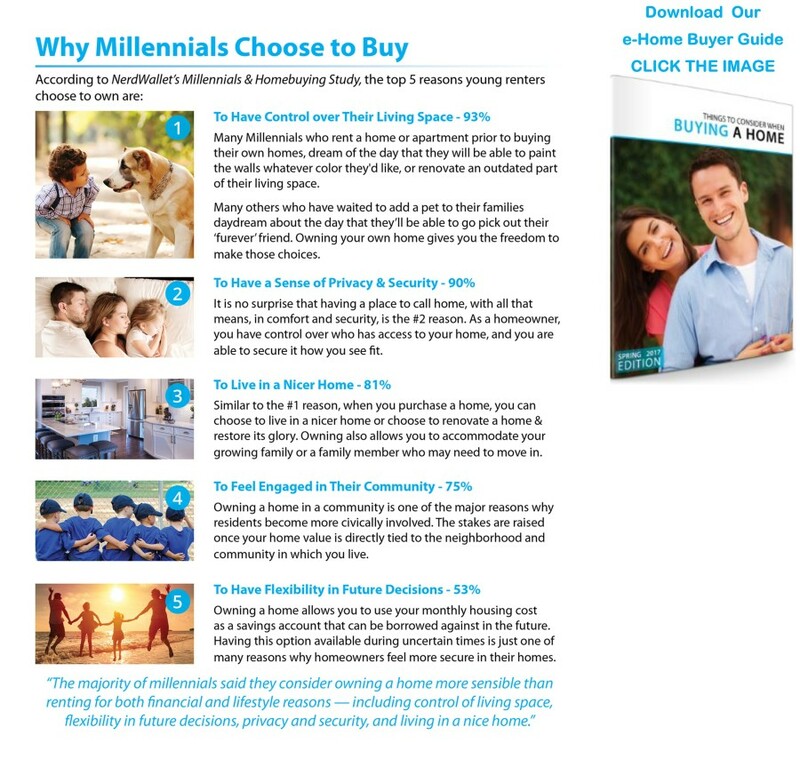 Many Millennials who rent a home or apartment prior to buying their own homes dream of the day that they will be able to paint the walls whatever color they’d like or renovate an outdated part of their living space. Buying a home is a lot less expensive than many people realize. For example there are a number of mortgage loans that are available with little or no money down as well as alternatives of options for down payment funds. Additional most people over estimate the income necessary as well as the credit score required to qualify for many mortgages. If you are planning or considering buying a home in Northern VA in the next year contact us by phone or use the contact form on this page, for a free no obligation evaluation of what you need to do to prepare.